Belkin Enterprise announced that its USB Smart Card and Common Access Card Reader is FIPS 201 compliant and listed on the GSA FIPS 201 Products List. Belkin’s USB Smart Card and CAC Reader is designed for government applications. Offering a range of smart card compatibility, including Class A, B, C, the Belkin Smart Card Reader features a compact, tamper-resistant design for one-handed card insertion. Designed to support smart cards meeting ISO 7816 standards, which include the Common Access Card and PIV, the Belkin Smart Card Reader has been built to assure high security for government applications. 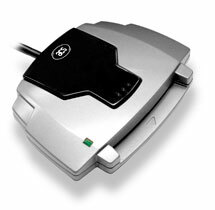 Its unibody enclosure works to eliminate entry points and prevent physical electronic tampering. All firmware is in read only memory to assure no risk of alteration.